posted: June 29, 2018 by: Mary Jo Dilonardo Tags: "Clinic Specials" "News"
Maybe you've been gently chastised by your vet for letting your cat pack on extra pounds or letting your dog's teeth get out of hand. But there are plenty of times that veterinarians have held back, keeping their opinions to themselves about how we're messing up with our pets. But not on Reddit. When asked "what common mistakes are we making with our pets?" veterinarians weighed in with gusto, prompting more than 8,700 comments. Here's a look at what we're doing wrong, according to the mostly polite, frustrated animal docs. Listening to other people for medical advice. Many vets weighed in about clients who argued against their advice, saying that their breeder, trainer, or groomer disagreed and told them to do something else. "Applies not only to breeders and groomers, but also trainers, people who work in pet stores, farriers, your neighbor, your friend, your parents, some random guy on the street..." points out jadeeyes113. Letting them get overweight. Being chubby isn't cute or a sign of love and instead can lead to all sorts of medical problems. Experts suggest you feed the best quality food you can afford, take guidelines from the the bag about how much to feed and then make changes if necessary. "Another common mistake with pets is obesity," writes Seven_Dead_Horses. "Feeding the wrong foods, junk ingredients, or unnecessary nutrition. Dogs and cats are fairly simple for feeding and maintaining. Most food manufacturers provide a guidance to how much to feed based on weight. If you follow that and your pet starts gaining weight, then you know to change something." Not taking care of their teeth. Vets and vet techs posted a lot about dental care, pointing out that having annual dental checkups as part of annual exams was key. But don't leave it to the vet to take care of your pet's teeth. They suggest getting your pet accustomed to regular brushing. "Arguably the most important aspect of oral care that you can do at home is tooth brushing, optimally every single day with a veterinary toothpaste," says SeriesofAdjectives. If you can't get your furry best friend to cooperate, try dental rinses and chews. Forgoing basic nail care. Do you clip or grind your pet's nails? A lot of people don't. "Trim you pets' nails," says amoyensis13. "I can't tell you how many times I've had to wrestle an ingrown nail out of an animals flesh. And that stuff can get in there deep. And most of the time, the animal doesn't give you any signs that it's in pain and the owners don't even notice it's happening." Not socializing puppies. Vet cloud_watcher explains the importance of exposing puppies to all sorts of dogs, people and experiences early on in life: "Their socialization window closes about 14 weeks, meaning it is pretty much closed if you wait until 16 weeks. This causes a lot of dogs to go nuts and freak out whenever they see something they didn't see during that period. Notice, I did NOT say to take them to the dog park! They need to be around other dogs (and other people) in controlled situations: puppy socialization classes, friends houses, etc. 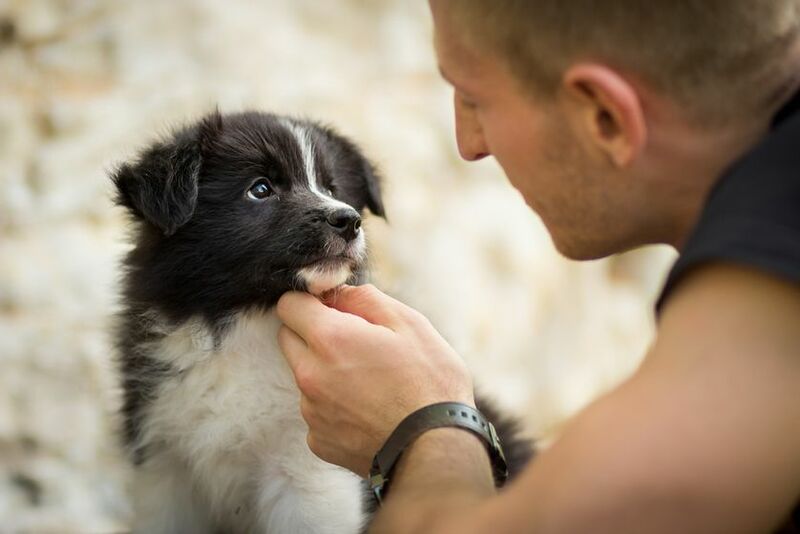 Make sure the dogs they are around are healthy, vaccinated, and good with puppies and let them have positive experiences with other dogs and people. Obviously NEVER get behind on their vaccines while you're doing this." Let your puppy experience everything, cloud_watcher suggests. "Expose them to your tall friends, your friends of different races, your friends with beards, hats, sunglasses. Pull out the broom, an umbrella, an iron board...while giving them treats and having fun the whole time. Try to let them walk on slick floors, bricks, carpet, etc. so they won't have fears of those things. And always happy!!" Choosing unhealthy breeds. When certain dogs walk in the door, vets sigh and know they can expect a lifetime of health issues. "You are buying breeds that are already prone to having a low life expectancy, like bulldogs," writes carlyrhodes. "Certain breeds are terribly bred. The bulldog is by far the worst breed and you are signing yourself up to be paying for a lot (of) vet bills." Skipping the annual checkup. Nobody likes being poked and prodded and maybe you don't want to see your pet uncomfortable either. But it's worth the yearly trip just to make sure there's nothing going on with your dog or cat's health. "Things change in our pet's bodies faster than they do in ours. Think of their life-span as opposed to a humans," says CharlieBear26. "I'm sorry my thermometer in your pet's tush is a bit uncomfortable and the mere sight of me gets him trembling. Believe me, when I went into this profession I wasn't expecting animals to dread coming to see me. But 15 minutes in the clinic, 1 day out of 365 is the least you can do for an animal that loves you unconditionally." 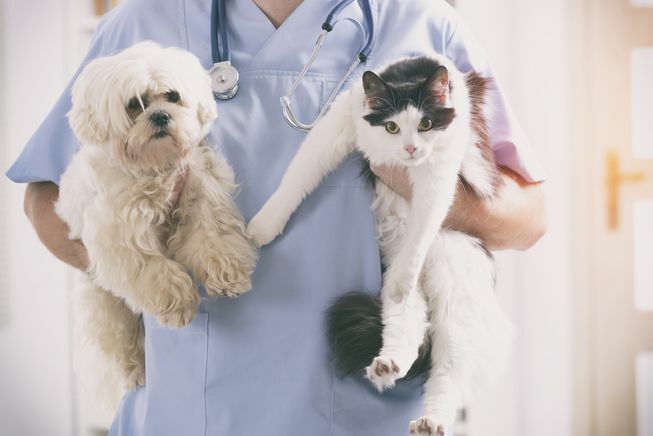 Many experts suggest starting early to make sure the vet's office is a happy place. Begin when you first get your pet by visiting the vet when you don't have an appointment. Ask if you can drop by an exam room, put your pet on the table and visit the vet and techs for treats. Then go home. Make sure each time you visit, your pet gets treats and love from the staff. If they aren't loving and patient with your pet, then it may be time to find another practice.